The Bike Chain is Extremely Important for A Great Ride. How Do They Make Them? 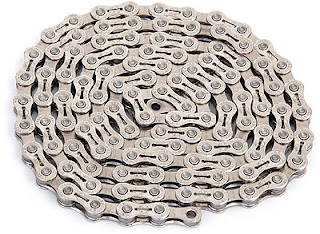 A bicycle chain is essentially a roller chain. 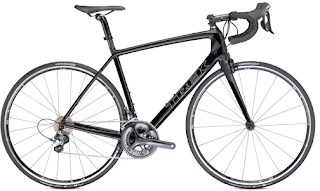 It's designed specifically to transfer pedal power to the bicycles rear drive wheel. The manufacturing process starts with a punch press. It cuts and presses steel into the shape of chains inner link, which looks a lot like a figure eight. 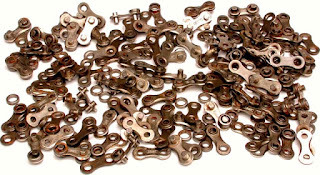 Incredibly, the punch press generates 10,000 links per hour! Each of the links have been made to interconnect, their contours formed to travel easily across the bikes gear sprockets. Samples of these inner links are sent to a measuring station to confirm the space between the holes is precisely twelve point seven millimeters. The tester also guages the diameter of the holes which must be accurate to within a fraction of a millimeter. Then the links are baked in an oven at more than 1500 degrees fahrenheit. The blazing heat followed by a quick cool down hardens the steel. They now shovel these interlinks into a donut shaped machine. They add ceramic and silica powders, and poor in a small amount of water. They then close this lid on the machine. It shakes vigorously causing the powders and water to form an abrasive paste that polishes the links. They load the polished inner links into a metal basket and shut the door. Machinery plunges the basket into a series of chemical baths to give these inner links a nickel teflon veneer. 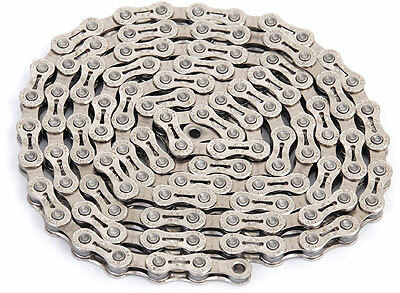 The nickel teflon surface will resist corrosion, and it's smooth texture will allow the chain to travel easily over gear sprockets. 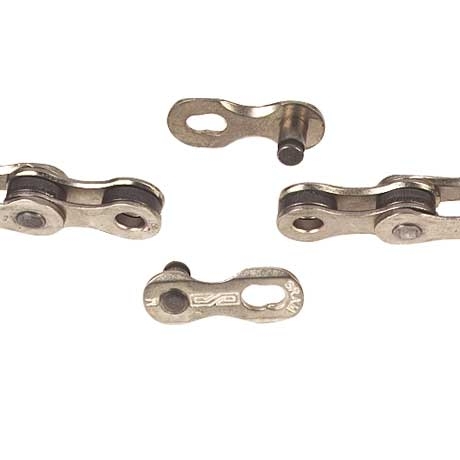 The bike chain's outer links get a different kind of finish. Unlike the inner links, they don't travel over sprockets so simple nickel plated will do. They are now ready to assemble the chain one section at a time. Tubes feed the parts one by one into an assembly machine. Gripper arms adjust their position to assemble the links to other chain components such as retainer rings and spacers. The machinery presses pins into the links holes to secure the assembly. Then grippers move the completed section of chain down the line. It takes a whole lot of little pieces to build one short section of bicycle chain. The sections are linked together in one long chain, which winds by an inspection station to be examined for flaws. After that the chain takes a dip in hot oil to lubricate the links preventing squeakiness and wear down the road. The chain exits the lubrication station and travels through an absorbent material which soaks up the excess grease. A laser tool then signals the location where the chain has to be cut and blade chops it at the exact spot. A standard chain is just over fifty six inches in length. It consists of one hundred fourteen inner links and one hundred fourteen external ones. And that's more than you will ever need to know about chains! 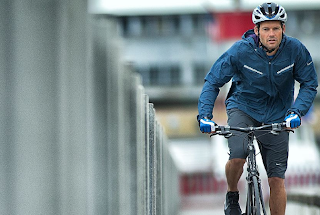 your Fitness and Cycling needs. We have 4 great locations across Kentucky to serve you best. We also have a location in Clarksville, IN, and our newest location in Evansville, IN.